Hello and welcome to this week’s mix. It’s hot here in NYC, with temperatures sticking in the ’90s for the next five days so they’re predicting. The kind of heat that can make you crazy. (As documented by David Lee Roth in 1985.) Way up near the North Pole, it’s much colder but still warm for there I guess. Also, it’d daylight 22 hours of the day. Which can make you crazy, as documented by Robin Williams in that movie Insomnia. 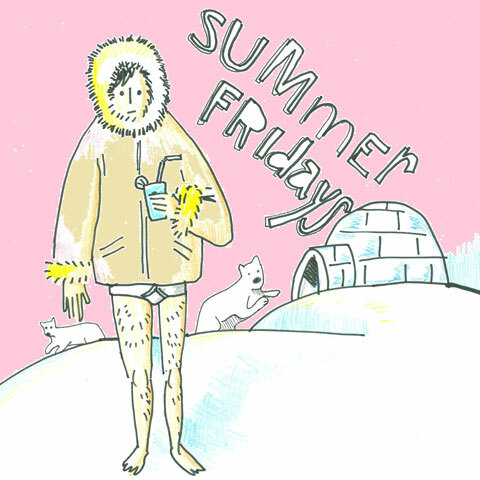 But cover artist Kevin Alvir, who also fronts The Hairs (who can be heard in this mix too), has depicted happier summer times in the Arctic where you can frolic in your underwear with a fruity beverage and the polar bears (cats?) are friendly. Someday I may do liner notes again. EDIT: I did! Liner notes are below! Meanwhile, enjoy the tunes! Oh…no shuffle! A college radio favorite of mine and the album it’s from, Let it Bee, still holds up pretty well. I went back and forth on whether to post this song or their single “I Say Nothing” and went with this one because it’s a good opening track (and a rocker!). Listening to “I Say Nothing,” though, I realized I totally stole its solo for the My Legendary Girlfriend song “Ten Minutes More” — feel free to compare and contrast. 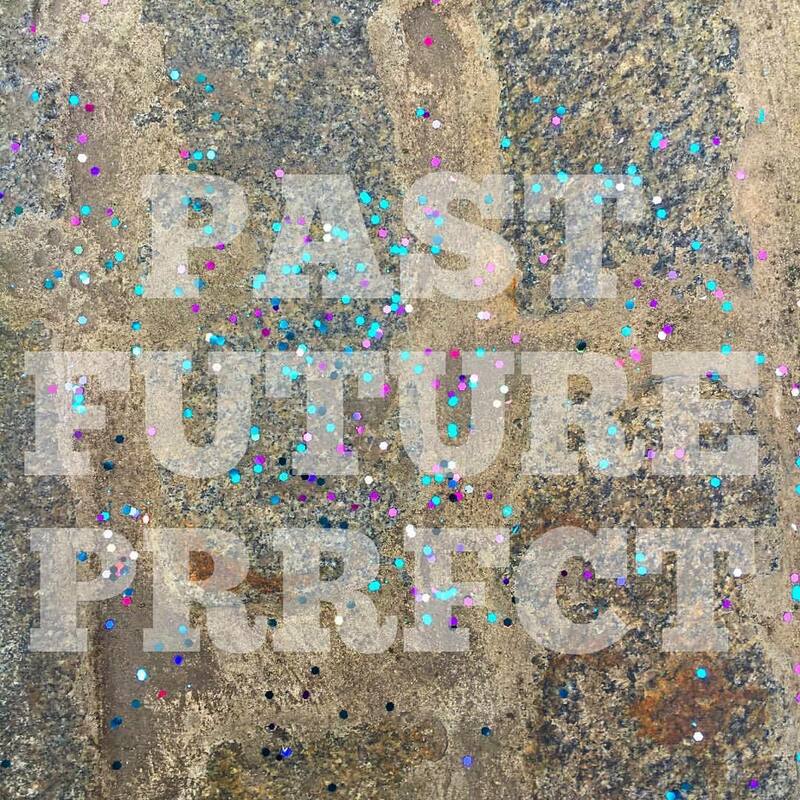 New single from the first musical thing we’ve heard from the band in about a year. (Which is a long time for a band that was hitting Pollard-like levels of prolificacy. This is from the band’s new album which will be their debut for Mexican Summer. America didn’t hear much about Glasgow’s Royal We which broke up before the release of their debut album or ever playing the States. 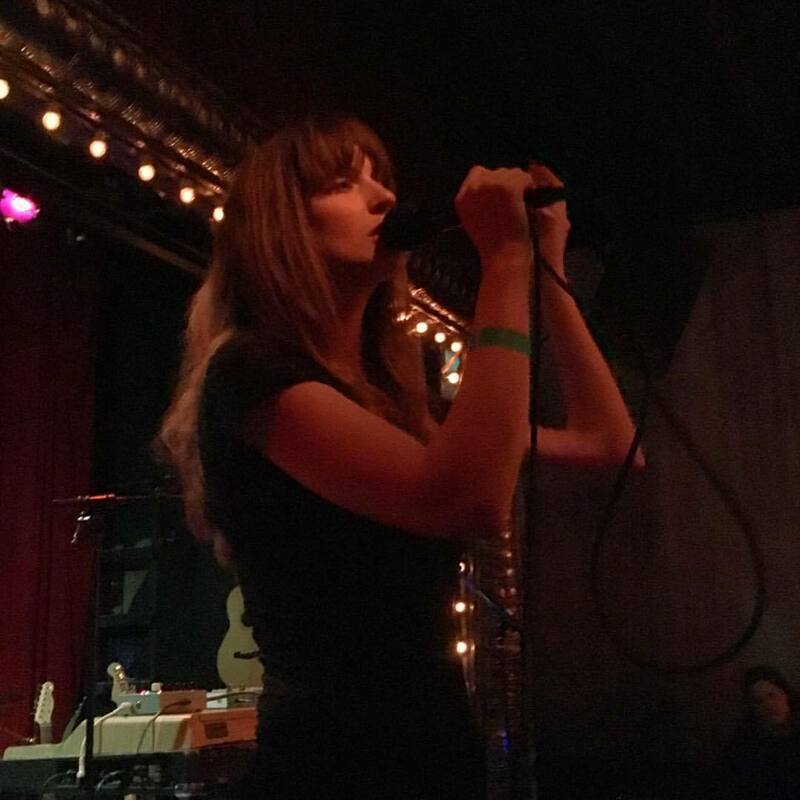 Patrick and Roxanne are now in Veronica Falls (who played NYC this weekend) and Jihae Simmons now fronts Neverever, and both bands are signed to Slumberland. This song more than justified their existence. Awright! Disappointed with the new dB’s album? Wish it had a little more of that nervvy pop charm of their first two albums. Well, it doesn’t really (but it’s not a bad record) but you can console yourself with Montreal band Sheer Agony who clearly own both Stands for deciBels and Repercussion. Their debut 7″ just came out and you can stream it at their Bandcamp (order it there too). DIIV by this point should be known to anyone who reads Pitchfork or BrooklynVegan, it’s the solo project from Cole Smith who has played drums and guitar and infamously wore mom jeans in Beach Fossils. He’s still in BF and DIIV has kind of overtaken them in terms of buzz, thanks in part to their hyper-energetic live shows. I bet Mike Sniper lent Cole all his Chameleons CDs. The record is samey but it’s a good listen and it will be interesting to see where Cole heads next, musically. Obscure ’80s UK indie band probably best known for being the band Josephine Wiggs was in before The Breeders. If you like the Velvet Underground and C-86 stuff then you’ll dig this. An early single, probably their best. As mentioned above, The Hairs’ Kevin Alvir did this week’s cover art and this is the A-side to his the band’s new 7″. The Hairs write funny catchy songs and give “tinny” and “scratchy” a good name. This is from Fergus & Geronimo’s new album Funky Was the State of Affairs that’s out next month. From what I can tell it could be a concept album. This is some keyboard post punk new wave circa 1980 complete with thick fake Brit accents. It’s awesome. Admission: when I saw Kevin’s cover art to the mix, I did a search of my library for “Eskimo” and this was my favorite song of the applicable results. This is from their 2000 album Hurrah. Minneapolis’ enigmatic and snarky BNLX keep cranking out quality EP after EP and this is probably the poppiest track they’ve given us since “Blue and Gold.” Ed Ackerson is an indie rock veteran but he’s clearly doing this cause he enjoys it and it shows. With Canada Day being this weekend (and me not putting a Sloan song on a SF mix yet this year) we get this, one of the many great songs from One Chord to Another. The band are about to embark on a Twice Removed tour, which is pretty cool too. Before I started working for my college radio station, I won a lot of stuff from them, including The Jazz Butcher’s 1988 album Fishcotheque which I became obsessed with. I also taught myself to play guitar trying to play these songs. I never got into Thomas Pynchon but “Looking for Lot 49” was the soundtrack to solo dorm room mosh sessions. From Boston, I almost went to see these guys the other night but their late start time (and my disdain for the club they were playing) kept me at home. But if you like late-’80s college radio indie (Dino Jr, Husker Du, etc) crank this baby up. This is from Cyrk II which is leftover recording from Cate’s CYRK album which is going to be in my Top Ten of 2012 unless the second half of this year turns out to be incredible. Go see her live if you can. 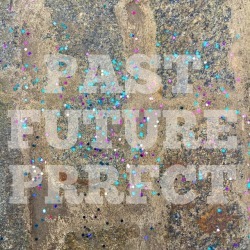 Russian indiepop that is very very very good…this EP was released by The Drums’ Holiday Records. A little surfy, a little feedbacky, super-catchy. Free to download via Bandcamp. The 6ths’ Wasps’ Nests is one of the hardest to pronounce string of words ever. The songs are easy to like though, Stephin Merrit’s catchy pop as sung by a who’s who of ’80s and ’90s indie. In this case, Dean Wareham of Galaxie 500 and Luna. This song was one of the first indiepop songs I ever heard in a commercial, a Payless ad from 2005 or so. I don’t think of shoes when I hear it now, though. Sparkling pop that owes more than a little to The Bats. New EP from Vincent Caccionne’s new band who will play the Sound Bites Series on August 19 down at the Seaport. Free show, come down if you’re in the NYC area. 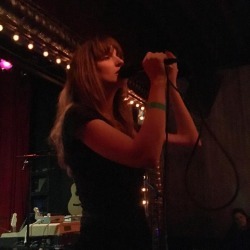 I have been listening to this new LA band Tashaki Miyaki who remind me a lot of David Roback’s many bands, like Rain Parade so I thought I’d put one of their songs on here. This was when the Paisley Underground was happening in LA and you can hear echoes of The Byrds all over this. And one of my favorite Monkees songs closes this mix. Neil Diamond wrote this one, their third single which peaked at #2 in the U.S. back in March, 1967. I want a polar bear cat! Ok David, now with liner notes! And I keep meaning to check out Wymond's album…on my list! All are great new beats for the turn of the season fall party. This festive season entails new beats as we dust out those summer hits. Check out my playlist over at jukeboxes.